LinkedIn is successfully turning itself into a media company, notes Scott Devitt at Morgan Stanley.This is fairly obvious to anyone who has been paying close attention, but it’s worth mentioning again. LinkedIn Today started off as an aggregation of news for LinkedIn users. The content is tailored to what they enjoy. As it became more popular, LinkedIn asked people to write original content for LinkedIn. That too is proving to be successful. Now that LinkedIn Today is an established platform, CEO Jeff Weiner revealed yesterday his plans for making money on LinkedIn’s content. He says it will be a content marketing platform. It sounds like LinkedIn will use LinkedIn Today to sell sponsored posts, doing advertising like BuzzFeed, where a marketer puts its message in the format that readers of LinkedIn Today are comfortable with. This is the trendy ad format right now. For LinkedIn, it’s a pretty great fit. Unlike at a traditional media organisation, LinkedIn’s content often involves marketing, innovation, and ideas. For big tech brands trying to connect with professionals, sponsored content will be a pretty good deal. It’s another line of business for one of the most financially diverse tech companies in Silicon Valley. It’s also a clever way for a social network to do advertising. Often, advertising on social networks either feels irrelevant or intrusive. 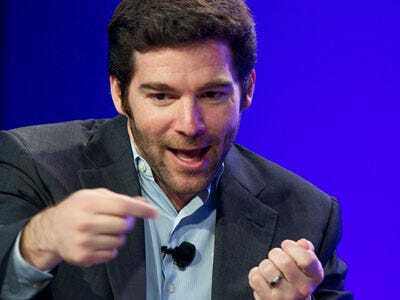 New opportunities in Marketing Solutions from original content: Jeff Weiner mentioned that Marketing Solutions was one of the opportunities he is most excited about as the company moves forward. In addition to robust opportunities in traditional B2C and B2B advertising, LinkedIn is in the early stages of establishing itself as valuable content marketing platform. Insights from thought leaders and companies sharing white papers / other valuable professional insights create incremental monetization opportunities through sponsored posts on the LinkedIn homepage.